I am beginning to convince myself that Apple has some mighty good battery technology and that they will enter the personal transportation business. This does not mean they will sell cars but they will sell miles to drivers who will never need to own the car. 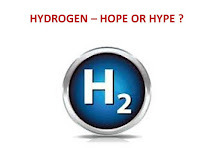 Apple has so much cash they could provide personal transportation on a pay as you drive basis and they could easily put two or three million personal transporters on the road with batteries they know will last a half million miles. Apple just might do what I suggested the Veterans Administration do for the transportations of Vets. The Apple personal transporter will be a snazzy pizazzy vehicle and will make most cars and trucks look like they belong in the last century. Elon Musk will be left in the dust of Apple and will be remembered for solar power, grid storage, and space travel. By 2025 Tesla Motors will long be forgotten as Plymouth and Oldsmobile. By 2019 when Apple launches their personal transporter, Apple will have well over $200 billion of free cash to finance the pay as you drive personal transportation company. I think they will not bother to sell cars at a low gross margin but can sell mile after mile of personal transport at a higher margin. Bet you that Exxon Mobil is their real target. Apple will make the experience of being personally transported unique and fun. Each Apple motorist will actually not be a motorist but a chauffeured passenger. Yes all those in the iTransporter will feel like Richy Rich rather than slogging away at dealing with traffic. I could be completely wrong but Apple has the cash and the technology to make all of the above possible. I doubt Microsoft will even come close to competing with Apple in personal transportation. The personal computer is now passé. iPads are a passing fad. iPhones are so widespread nobody even cares. But iTransporters will be the hit of 2019. 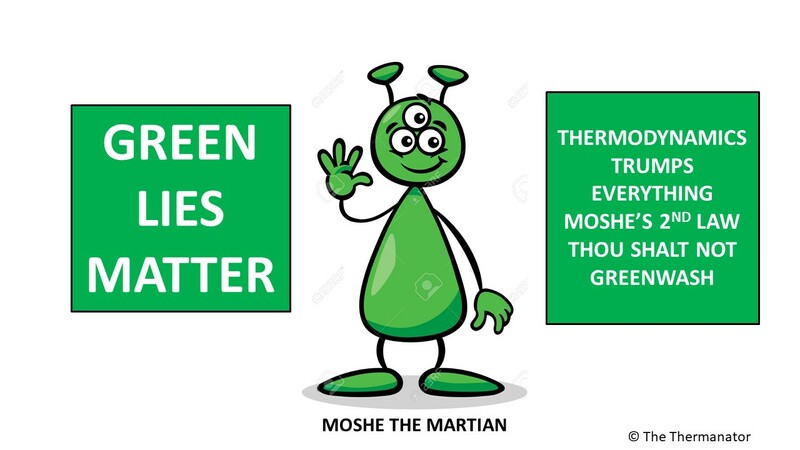 The Green Machine will be mighty happy if Apple has the battery that survives 5,000 charge discharge cycles and lets the iTransporter renter go mile after mile on PV power. This is the OPEC killer and BP will be for once and for all a relic of the British Empire. But just in case I am completely wrong I will change the oil in my old car and make sure it will carry on running another ten years. Thermo is telling me Tesla will not be a $200 stock. The second law is pointing to a share price of less than $165 by Christmas. 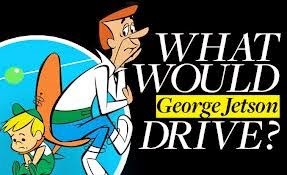 George Jetson will not drive he will be iTransported.